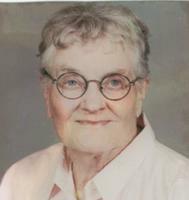 Provide comfort for the family of Betty McLean with a meaningful gesture of sympathy. Greetings to Betty’s family and friends, Despite the sadness of her passing, Betty’s family and friends are celebrating her life and the incredible way she chose to spend and share it with those around her. Her genuine interest in others, quick wit and sheer love of life glowed as bright as her failing body would allow through her 93 years. Her spirit and inspiration live on with her four children, their spouses, thirteen grandchildren, three great grandchildren, loving nephews, nieces and their extended families. As her generation of life-long friends passed over the years, Betty continued to live life as full as she could, attending St. Odilia and enjoying her home on North Oxford in Roseville until 2014. 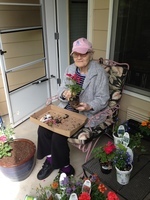 She spent the past five years in a little more reserved fashion in her White Bear assisted living community keeping in touch with her Twins Volunteer group, staying abreast of the PGA and enjoying the cherished the visits of family and friends. She will be missed but never forgotten and we know she is in heaven asking questions, sharing insight and anticipating the spring flowers. We are planning a Celebration of Life gathering later this spring and will communicate details once we can schedule. Love to all. To send flowers in memory of Betty May McLean (Pfeffer), please visit our Heartfelt Sympathies Store. 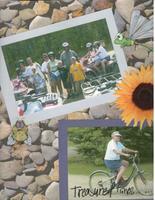 Provide comfort for the family of Betty May McLean (Pfeffer) by sending flowers. Our Mom died peacefully on March 14, 2019. Betty Mclean grew up in Bemidji Mn. She got her Bachelors degree at Scholastica college in Duluth, where she met my Dad and was married. Other than raising us four children, she taught at Anoka Ramsey College in medical records for thirteen years. She enjoyed home gardening and entertaining in the family backyard swimming pool. 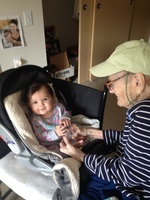 Later in life, she lived for her many grandchildren. For those who knew her, she loved life and lived to love others. We'll see you Mom in that great big garage sale in heaven. Your loving son, Paul.